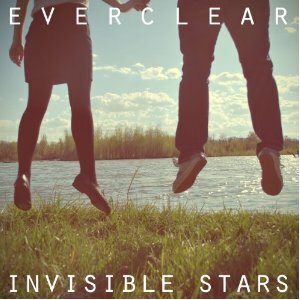 Everclear – Invisible Stars | NoCoda. What It Sounds Like: I’m sure you already know Everclear. If so, you know what you’re getting into here. If somehow you were living under a rock from the mid 1990s to early 2000s, what we have here is standard alternative rock/pop rare. Catchy hooks. Something to catch your ear. Introspective story lyrics about growing up poor and the random girls/drugs/marriages that have come along with the ages. First off, next to Third Eye Blind, Everclear is probably my second favorite radio-rock band of the 1990s. Art Alexakis is a superior lyricist, as ninety-nine percent of his material is derived from his far-from-perfect upbringing and past experiences with drugs, various family disasters, and the overall push to get yourself out of the hole you’ve dug yourself into, without ever feeling sorry for himself or like the world owes him something. We don’t have stereotypical love or relationships songs, or ones that celebrate wealth or “the good life” as many bands do. Past hits like Wonderful and I Will Buy You A New Life touched on subjects that weren’t common ground for pop/rock radio, and they pushed Everclear to a level of stardom that was absolutely earned, and not simply handed to them on a silver platter. Originating as a three-piece, founding members Craig Montoya and Greg Eklund left the band in 2003, which should have been the end of this band’s fantastic run. However, Art pressed on, reforming the band into a five (and sometimes six) piece, and created the better than expected Welcome To The Drama Club in 2006. It seemed like a one-off; one last Everclear record before putting it all to bed. Who would have thought that 2012 would roll around to give us one (last?) record, Invisible Stars. I was really excited! Art can’t be coming back after seven years to try to capitalize on the Everclear brand – there was no real demand for it! Sadly, Invisible Stars didn’t live up to any of my expectations, and while it’s certainly not a bad record, it’s far from ranking up there with the likes of So Much For The Afterglow or Songs From An American Move: Volumes 1 & 2. I’d even go out on a limb and say that this isn’t even as good as their overlooked “it starts to sound the same” grungy 1993 debut, World Of Noise. What happened to the introspection that we used to have? What’s up with these tried-and-(not)-true vague illustrations? Like I said….addicted to toxicity. Near the end of the record, we find a hidden gem titled Jackie Robinson. It’s not even overly catchy, but it’s got some storybook lyrics that seem almost inspired about racism and pushing forward, and not contrived and forced like some of the other issues faced on this record. Nobody can be facing the exact same issues at 29 when they’re 49. Things change – life gets better. Ups and downs. But it still changes. This isn’t a bad record. It’s not a great record either. If I heard it by itself without the rest of Everclear’s back catalog, I would probably enjoy it more, but knowing the greatness that came before this, it only pales in comparison. It’s worth some spins, but you can’t top the 90s. ← Rocket From The Crypt – Scream, Dracula, Scream!